Fun for the whole family, the Florida State Fair returns to Tampa from February 7-18, 2019, and we have a family 4-pack of tickets plus unlimited ride armbands to give away. 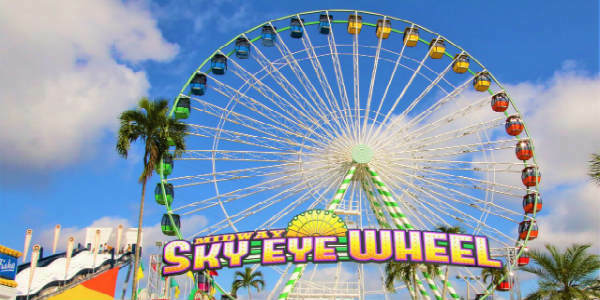 Covering fifteen acres at the fairgrounds, the Florida State Fair boasts the largest Midway in North America with over 100 different rides, so you’ll definitely be able to make the most of those armbands. The 2019-Model Central Florida International Auto Show returns to the Orange County Convention Center for Thanksgiving weekend, November 22-25, 2018, and we have a family four-pack of tickets to give away. Everyone is invited to check out the latest models in a non-selling environment, sit behind wheels, inspect engines and even take a spin in dozens of new vehicles. 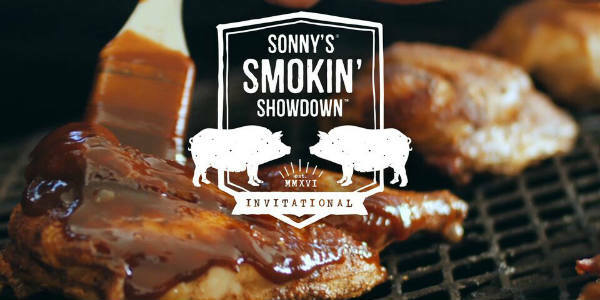 BBQ lovers get ready…Sonny’s BBQ Smokin’ Showdown is coming to Tinker Field on Saturday, March 3, featuring the best BBQ from around the world! We even have tickets to give away! At the Smokin’ Showdown, more than 50 professional pitmaster teams from around the world will be showcasing the best BBQ, including chicken, ribs, pork, and brisket. The Florida State Fair Comes to Tampa Feb 8-19 + Win Tickets! Fun for the whole family, the Florida State Fair returns to Tampa from February 8-19, 2018, and we have a family 4-pack of tickets to give away. Covering fifteen acres at the fairgrounds, the Florida State Fair boasts the largest Midway in North America with 110 different rides. 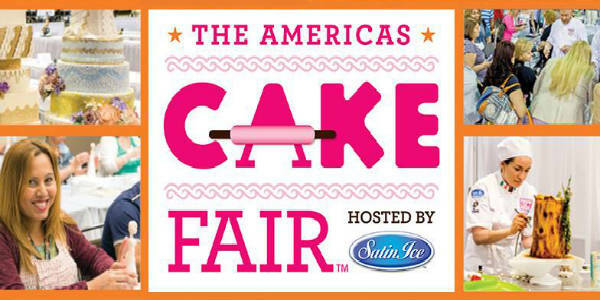 Win Tickets to The Americas Cake Fair Oct 13-15, 2017! This month, The Americas Cake Fair returns to Orlando at the Orange County Convention Center, the weekend of Oct 13-15, 2017, and we have tickets to give away! This event is the largest trade and consumer show in North and South America dedicated to cake, chocolate, sugar arts and more. Win Tickets to the Southern Women’s Show Oct 12-15, 2017! 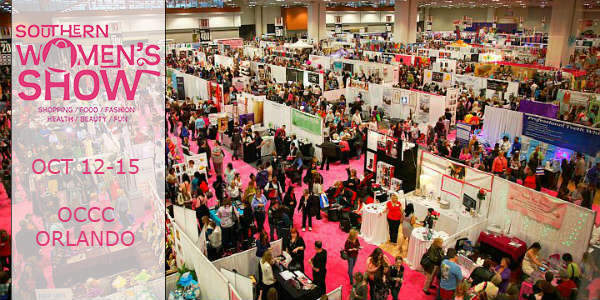 The popular Southern Women’s Show returns to the Orange County Convention Center in Orlando the weekend of October 12-15, and we have FREE tickets to giveaway! It’s bIlled as THE lifestyle event for women, focusing on fashion, health and fitness, business, travel and leisure, and food and nutrition. 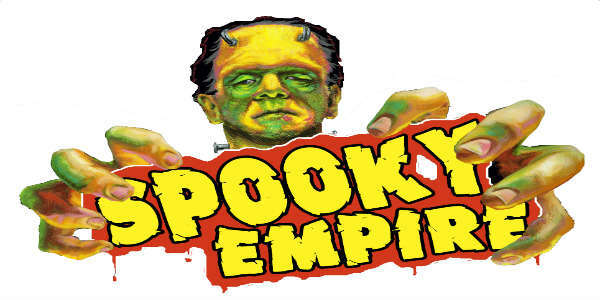 Enter to Win 4 Tickets to the Orlando Science Center! The Orlando Science Center is a fun place to explore and play, and thanks to them, we have a four-pack of tickets to giveaway! Use the tickets to check out The Wizard of Oz™ and Hands-On Harley-Davidson educational exhibits that will only be at the Orlando Science Center through May 1. 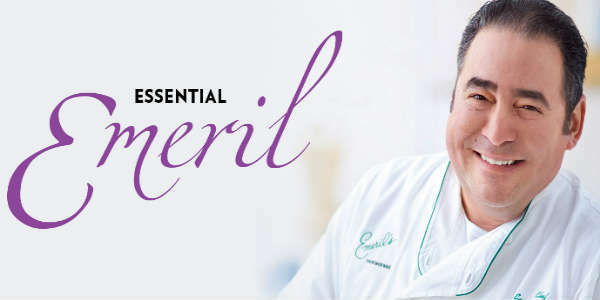 The Publix Chefs series at Dr. Phillips Center is presenting celebrity Chef Emeril Lagasse for a one night only show on April 21, and we have two pairs of tickets to giveaway! Hosted by John Rivers of 4Rivers Smokehouse, the evening will feature Emeril sharing the stories behind his amazing journey — including the inspirations behind his recipes, his classic New Orleans style and his A-list chef friends – as well as answering questions from the audience. Otronicon returns to the Orlando Science Center for its 11th year from January 15-18, 2016, and we have tickets for you to win to check it out. If you are a fan of technology and gaming, you will want to visit Otronicon. During the weekend, guests can check out state-of-the-art simulation and gaming technologies, including military and medical simulators not typically available to the public. 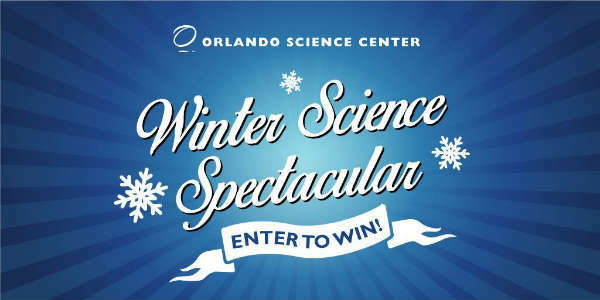 Holidays in Florida are not known for white winters, but the Orlando Science Center is changing that with their Winter Science Spectacular running December 19 through January 3, 2016. Learn while you have fun, with exhibits like “Animals in Winter” which shows how different animals adapt to cold weather changes where they live, including hibernating, migrating, and more. As we mentioned earlier this summer, Disney on Ice Celebrates 100 Years of Magic will be at the Amway Center September 4-6, and we have a family four-pack of tickets to giveaway to one of the performances. 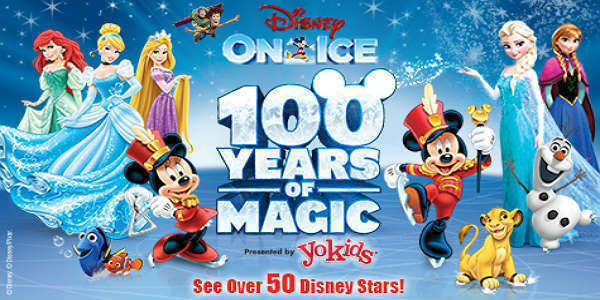 Disney On Ice celebrates 100 Years of Magic is presented by Stonyfield YoKids Organic Yogurt, and will be in Orlando for six performances. We had a lot of entries for our LEGENDS ticket giveaway, but unfortunately, there can only be one winner. The winner, picked by random.org, is Chantal Roberts. Congratulations Chantal! You have won four tickets to the show on Saturday. Check your email for details. Thanks to the Amway Center for sponsoring our giveaway! If you want to check out Ringling Bros. and Barnum & Bailey presents LEGENDS at the Amway Center from January 9-12, there are still tickets available for as little as $16. 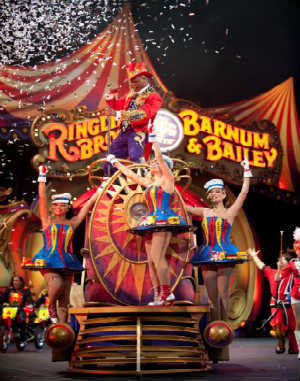 Ringling Bros. and Barnum & Bailey presents LEGENDS is coming to Orlando January 9-12, and thanks to the Amway Center, we have a family 4-pack of tickets to give away for the January 11 show at 11:30am. Experience unimaginable family fun, as amazing performers from around the globe perform awe-inspiring feats of daring, spectacles of strength and thrills of wonder to summon the mythical and the mysterious: a Unicorn, a Pegasus and a Woolly Mammoth. This will be a production unlike any you’ve seen. Tickets to see LEGENDS range from $16-$75, and are available online or at the Amway Center box office. But if you’d like to win our family 4-pack, scroll down to the form below. The more tasks you complete, the more entries you get. A winner will be picked at random from all entries, and notified by email.